Obsessive-compulsive is a label that is frequently misused. Most people, when they say they are obsessive-compulsive, mean that they have strong preferences for the way they want the thing to be done. In the mental health field, what we mean by Obsessive-Compulsive Related Disorders are a group of disorders which seriously interfere with a person’s relationships, their ability to work, cause them distress, or prevent them from engaging in other important activities. A personal story about compulsions to illustrate this difference. I have a preferred breakfast meal. It comes frozen and is relatively inexpensive. Each week when I do the grocery shopping, I buy enough for the following week. I tend to eat this meal every day. Should I end up traveling, or get behind schedule I’m open to eating something else. Someone with OCD or a related disorder might feel that their failure to eat the required breakfast, could cause their day to be ruined. They might believe, even though they know it is illogical, that their failure to eat the required breakfast, in a specific order, could result in someone starving to death, or harm coming to a family member. These beliefs that their actions or inactions, can cause harm results in an overwhelming compulsion to perform actions. I have used an extremely exaggerated example here, but I hope you can see the difference between an extremely strong preference and a compulsion. A compulsion is something you feel forced to do even when it makes no sense. It is as if the person with OCD is being controlled by an outside force. Obsessions are persistent, unwanted, and intrusive thoughts, urges, or pictures that you can’t get out of your head. Compulsions are the things people feel required to do to reduce the tension caused by the obsessions. These behaviors are often done a specific number of times. Compulsions may involve inflexible rules which must be obeyed to prevent something bad happening. Some Obsessive-Compulsive Related Disorders involve self-injury, like hair pulling or skin picking, which continues despite efforts reduce or stop the behavior. In the past, Obsessive-Compulsive Related Disorders were scattered throughout the diagnostic manual. Some of these disorders were in the chapter on anxiety; some were mixed in with impulse control disorders, others were under somatoform disorders. A few were not even recognized as mental illnesses in the past. In the most recent DSM-5, these issues were brought together in a single Obsessive-Compulsive and Related Disorders chapter. Sometimes it’s hard for professionals to diagnose which disorder a person has. It is possible for one person to have several of the Obsessive-Compulsive Related Disorders. Many people with Obsessive-Compulsive Related Disorders also have anxiety disorders, trauma and stressor-related disorders and some form of depression. OCD leads the Obsessive-Compulsive Related Disorders parade. Among the Obsessive-Compulsive Related Disorders, the best-known disorder is Obsessive-Compulsive Disorder, a serious mental health issue which is estimated to affect between 1% and 2% of the population worldwide. Other Obsessive-Compulsive Related Disorders include Body Dysmorphic Disorder, Hoarding Disorder, Trichotillomania, (hair pulling), and excoriation (skin picking). All of these disorders significantly interfere with people’s lives. Symptoms in these disorders recur, despite repeated efforts to control or stop the Obsessive-Compulsive Related Behaviors. Substances and medications can cause, or induce, Obsessive-Compulsive Related Disorders. Some medical conditions can also cause obsessive-compulsive behaviors. In the DSM-5 they are also seven other conditions lumped together under the heading Other Specified Obsessive-Compulsive Disorders. One of those conditions is Obsessional Jealousy. This is one of the few times jealousy counts as a symptom of a mental health disorder. More on Obsessional Jealousy in a future post. Treatment for Obsessive-Compulsive Related Disorders. The primary treatment for Obsessive-Compulsive Disorder (OCD) is exposure and response prevention therapy. While exposure and response prevention therapy has some similarities to systematic desensitization, which is used to treat specific phobias, relatively few therapists are trained in exposure and response prevention therapy. Stress is a part of your life. Some stress is the result of too much good stuff in your life. Other stress is from the tragedies and traumas of life. Not everyone experiences stress in the same way. There are those who are physically stronger and those who are emotionally more stress resistant. Not everyone who experiences stress is damaged by it, but if you have been under stress too much or too long then there is a good chance that stress is affecting your mental and physical health. When mental health professionals talk about stress they are not necessarily using the word in the strict dictionary definition sense. In the dictionary definition, the emphasis is on all kinds of stress, small, medium or large. In mental health, we are more thinking of the stress and its cousin trauma, which have been connected to mental, emotional or behavioral disorders. The kind of stress that may damage your physical and mental health is more linked to trauma. The concept here is that most of us experience some degree of stress every day. Some people experience more stress than others. Two people may have the same experience but one finds it more harmful than on other. Some stress, some of the time, can be helpful, it encourages people to do things to change their situation. But if you have been under too much stress or under stress to long it can damage your mental health. Most everyone can name one trauma and stress-related disorder, Posttraumatic Stress Disorder (PTSD) is the poster child for the harm that stress can do to your mental health. There are a number of other related disorders that are caused by trauma and stress. Internalizing and externalizing – common reactions to trauma and stress. Small levels of stress, amounts the individual can manage, pass by and are quickly discharged. Once stress exceeds the ability of a person to cope there are two common reactions to this excessive stress. You could get it out, we call this externalizing, or keep it in, called internalizing. Internalizing has been mostly associated with mental illnesses like anxiety and OCD. Externalizing your stress results in getting diagnosed and labeled with one of these “bad kid” or “anti-social person” labels. We used to think of these and many other disorders as things that only happened to children when there was something wrong with them or their development went array. As a result, some mental health disorders were only diagnosed in children and then if you had symptoms as adults we changed the name for what you had. We now tend to think that these problems may begin in childhood or they may begin later and even if they do not get detected until your adult years you may have these issues. If you had the experience of not feeling close to your caregiver, say they were abusive or neglectful and as a result, you avoided them. This kind of internalizing behavior to manage the anxiety, stress or trauma from deficient or inconsistent caregiving gets called Reactive Attachment Disorder. Disinhibited Social Engagement Disorder is the name professionals give when a child externalizes their needs and seeks out any adult whether they know them or not. They may be overly intimate in their physical contact or far too willing to walk off with this unknown adult. One other characteristic of this condition is that the child does not look back at their regular caregiver for permission or encouragement. We think that a lack of being able to depend on the caregiver leaves the child frantically seeking another adult to provide for their needs. We see adult patients with all sort of relationship issues and sometimes can’t help wondering if the roots of their adult relationship issues may not be found in their poor attachment to a caregiver as a child. The conclusion; Childhood stress creates adult illnesses. This disorder has gotten a lot of press recently. We know not everyone who experiences a given stressor ends up with PTSD. We also think that here is the difference between the results of one huge trauma and the result that come from repeated stress and trauma. See the other PTSD posts. Acute Stress Disorder is a lot like PTSD but to get the PTSD diagnosis the reaction to the stress has to last longer. Some people have an immense reaction to stress right away but it fades as time goes on. If your reaction to a trauma or stressor lasts 3 day to 30 days then you might get a diagnosis of Acute Stress Disorder and qualify for some treatment and time off from work or school. If a stressor has caused you mental health issues and you did not get another diagnosis like PTSD or depression then we might think you have an adjustment disorder. Typical instances might be getting a divorce or losing a job and then not being able to function. I think of these as hitting bumps on the road of life and ending up in the ditch. Getting help for these kinds of issues can get your life back on track. I think that help for an adjustment disorder can prevent it turning into a more serious condition. Are you having problems with a stress or trauma-related problem? Then there is help available. That help could take the form of professional counseling, medication, self-help groups or even for some people reading a good self-help book. I would like to think that for some people this blog is also helpful in their recognizing they have a problem that might benefit from getting help. Stress and trauma does not just harm your mental health, it affects your physical health also. More on that in an upcoming post. This has been my abbreviated explanation of some very serious issues. For the full official text check out the DSM-5. It is a little pricey but something everyone who works in mental health should have or have access to. For more information about help in your area check out the NAMI website or contact your local mental health department. Are your own thoughts causing you problems? Negative emotions, depression, anxiety, and anger are often preceded by negative thoughts. If your own thoughts are making your life worse it is time to get those thoughts turned off. Thought stopping is a tool you can use to quiet the mind and get those runaway thoughts to stop controlling you. When you find your mind occupied with an unhelpful thought, train yourself to mentally yell STOP or any other command you find effective in getting that thought to stop talking. Using this STOP command, especially with an added “correction” helps you reduce unhealthy thoughts and increase positive thoughts in 3 ways. Practice telling those unhelpful thoughts to stop and over time you will get fewer of them. 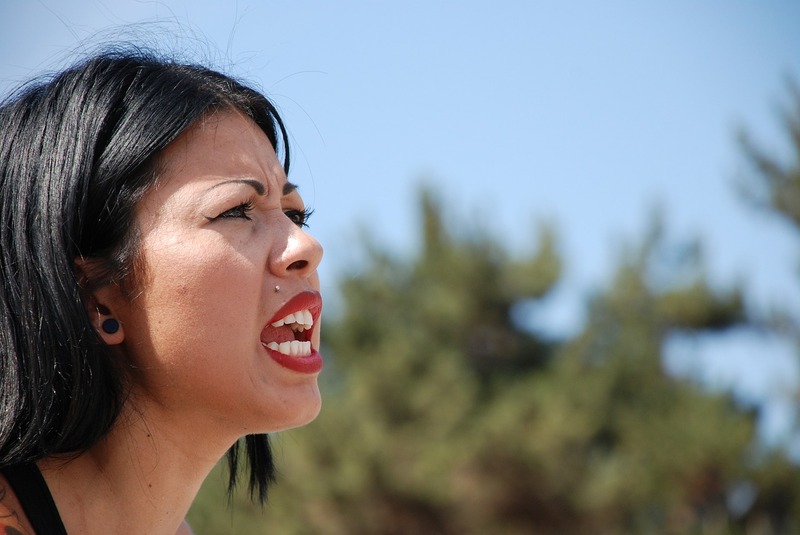 The mentally yelling stop becomes a form of punishing the negative thoughts. Punishing the negative thoughts rather than beating yourself up for having them rewards you by having fewer negative thoughts. The more you practice thought stopping the more positive you become and the healthier your mind becomes. Breaking entrenched habits takes many repetitions and thought stopping is something you can easily do many times a day. 2. Thought stopping distracts you from an unhelpful thought. Stay focused on the unhelpful thought and it gets reinforced. The more you think that negative thought the more it becomes an automatic thought and eventually it may reach the level of a core belief. Tell someone they are stupid often enough and they believe you. Tell yourself that you are stupid and eventually your mind will make mistakes to try to make this self-talk true. Use as many methods as you can find to take the focus off those negative thoughts and you will interrupt their control over your mind. 3. Disputing that thought can turn a negative thought into a positive affirmation. If yelling at them or distracting yourself from them does not get those negative thoughts out of your head try adding a tag on the end. Include an argument with this negative thought in every conversation and the unhelpful thought will start talking less. The results for thought stopping? Thought stopping has been shown to be effective about 70% of the time for phobias. The more unreasonable the fear or phobia the better thought stopping works. It is reported to be very helpful in coping with cravings in addiction or managing other urges. Thought stopping has been less effective when the problem is obsessive-compulsive behaviors. For compulsive rituals, the successes rate for thought stopping is closer to 20%. 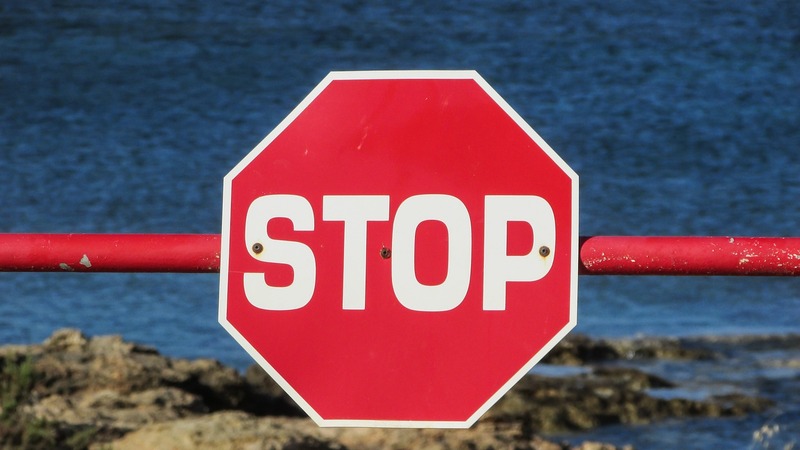 Thought stopping is primarily meant for getting rid of negative or unhelpful thinking. For OCD behaviors something more complete like exposure and response prevention is recommended. Exposure and response prevention is not recommended for addictions. Having an alcoholic sit in a bar and test themselves increases the risk of failing one more test and convincing themselves they will never get clean. If you are unsure what will work best for your condition, try working with a professional or experienced peer person. Do you have any default thoughts that are not helpful? Might thought stopping help you get those thoughts under control? O.C.D. or Obsessive-Compulsive Personality Disorder? What is the difference between OCD and Obsessive-Compulsive Personality Disorder? There are two different mental disorders that share the OCD designation. It seems odd that we have two disorders that share the OCD part of their labels. The way I read the DSM they are rather different disorders. The result of this dual use of the OCD label is that the two conditions may be getting confused and that people with Obsessive-Compulsive Personality Disorder may not be getting diagnosed or treated the way they should be. People with Obsessive Compulsive Disorder have high levels of anxiety and they have rituals they feel compelled to perform that relieve the anxiety. Think of obsession as not being able to stop thinking about something, in the case of OCD this thing they can’t stop thinking about is usually connected to some perceived danger. This is beyond just being over-anxious about a real danger. Like PTSD there are images that keep popping into the head. Having these thoughts upsets the person. The person with OCD knows these are their own thoughts and that the thoughts are excessive. The compulsive part has to do with the inability to withstand the thought and the need to do something to relieve the tension. These obsessions are not things like avoiding the alligator, which might keep you safe. They involve things like washing of hands over and over, praying for a long period of time repeating phrases or counting. The description of OCD reminds me of impulse control disorders like gambling or addiction and has some similarities to over eating disorders. OCD is a more generalized condition than what you might see in someone who has difficulty controlling only one obsession or compulsion as in an alcoholic who keeps thinking about drinking until the give in and drink. In OCD the compulsions don’t have that direct a relationship. That is a very over brief description of OCD from the DSM-4-TR. For more on OCD and its treatment, I would refer you to another site here on WordPress called ocdtalk. How is OCD different from Obsessive Compulsive Personality Disorder? This description of Obsessive Compulsive Personality Disorder is taken from the proposal for the DSM-5 since it will become final very soon and Obsessive Compulsive Personality Disorder is one of the personality disorders that the DSM-5 kept. Obsessive Compulsive Personality Disorder involves a SIGNIFICANT impairment in self-functioning. Someone with Obsessive Compulsive Personality Disorder does not just have a few symptoms about one thing but that is the way they are all the time. Someone with Obsessive Compulsive Personality Disorder gets their self-worth, their sense of purpose in life from their work or productivity. They are compelled to do something all the time. They have overly high rigid standards and are “inflexible” about meeting these standards. This sounds like that old “black and white thinking” to me. Someone with Obsessive Compulsive Personality Disorder is overly moralistic or conscientious. As a result of these excessive standards, they may be unable to complete projects unless they can be done “correctly” or perfectly. People with Obsessive Compulsive Personality Disorder lack empathy for others and will put work or moral standards before relationships. If you are not perfect the person with Obsessive Compulsive Personality Disorder will not want you for a friend. If you think you are perfect then you may well have Obsessive Compulsive Personality Disorder or another mental illness. Other traits of a person with Obsessive Compulsive Personality Disorder include rigid-compulsive perfectionism and negative “affect.” Meaning they are negative about everything all the time. They person with Obsessive Compulsive Personality Disorder is also likely to practice “perseveration” meaning they can’t let something go. They will keep trying to get something just right even after it no longer matters. People with Obsessive Compulsive Personality Disorder do not end up in treatment very often, at least not for the personality disorder, but they do drive others around them to therapy. Did that explain the difference? Feel free to leave a comment. I always feel compelled to reply.